[SG] Thai Express - Sa-nook! 'Sa-nook!' means to have fun in Thai and it is an experience that Thai Express hopes to bring for their customers. 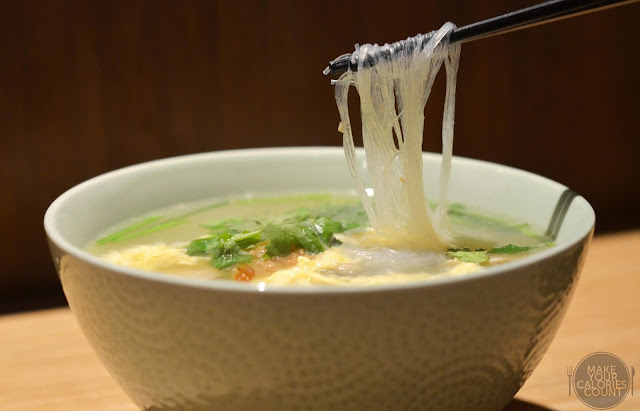 Singaporeans should be familiar with this brand name with their 19 outlets spanning across island-wide, each promising to bring a relaxed yet contemporary ambience with no strict decorum to its diners. 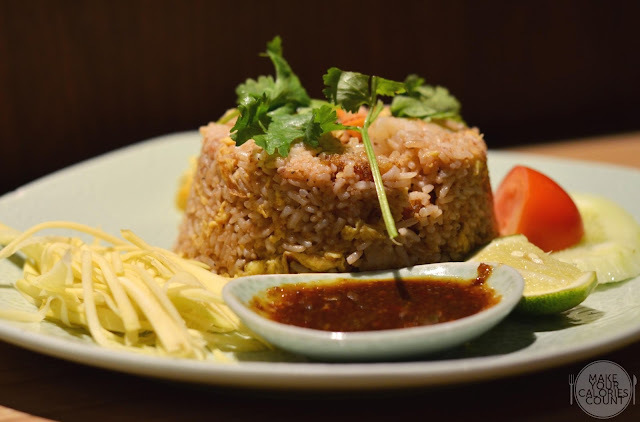 With a good spread of affordable Thailand classic local favourites such as the Thai fish cake, mango salad to its famous curry and tom yum, the menu would be sure to whet one's appetite yet catering to the price-conscious foodies. 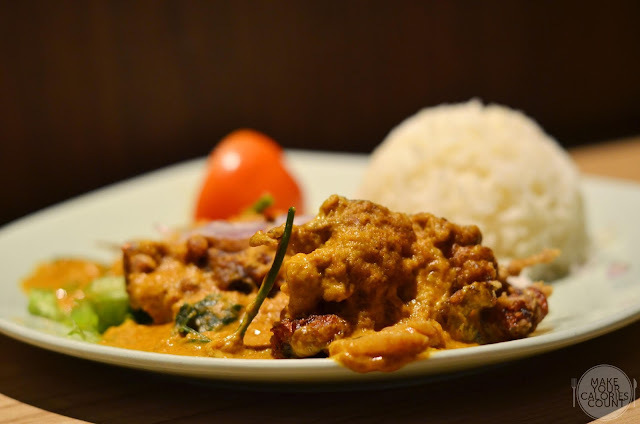 I could not agree more with the age-old adage that 'It's all about the customer' and it is indeed one of the reasons which kept me a satisfied diner of Thai Express over the years. 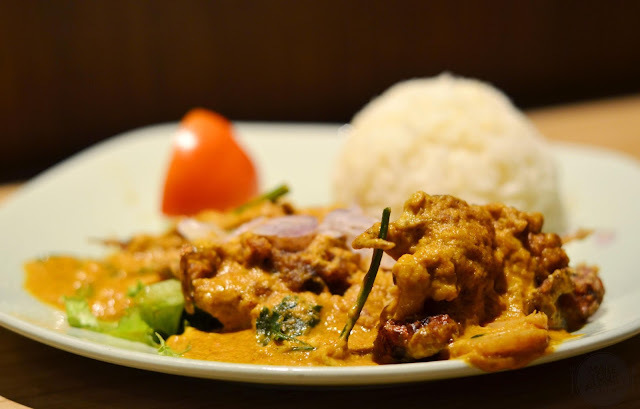 I used to be a regular at the outlet located at the basement level of Paragon Shopping Centre before moving overseas, owed partly to the consistently good service and food rendered. A walk around VivoCity looking for dinner solution proved hard than expected with a seemingly endless number of restaurants located on each level. I was on my iPhone checking the food directory before my growling stomach got the better of me and we unanimously settled for the eatery before us, Thai Express. Strangely, there was a nostalgic feeling that stirred from within when I browsed through that familiar orange-coloured menu. It must have been some 4-5 years since my last patronage to Thai Express and it seemed like only yesterday when I was sipping off the clear chicken broth or tom yum soup. Did they manage to stay consistent with the quality of food and service after these years? Let us find out now! Right, it took quite a bit of waving before we finally managed to catch the attention of one of the waiting staffs. I found it rather unforgiving as our table was smacked right in the middle of the entire restaurant and you would imagine there should be no problem in trying to get some 'loving' in placing food orders. I am not sure if this is now a common practice across Thai Express restaurants but when we tried a feeble attempt to articulate some Thai words or recite the English name of the dishes we wanted, we received a rather discouraging flat response: 'Can you give me the code number of the dish?'. Is customer interaction and service still alive nowadays or has everything gone routinely 'SOP'? 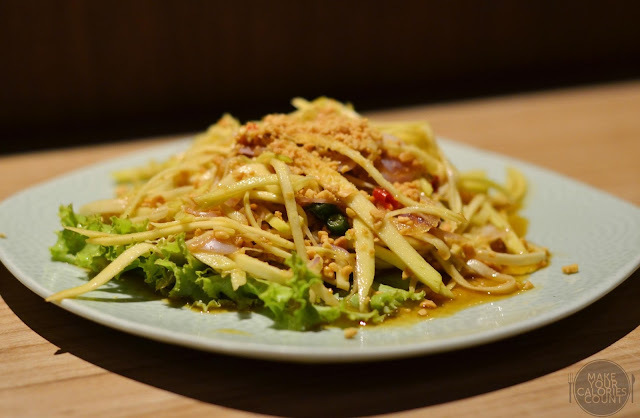 Apparently a Thai royalty, King Chulalongkorn wrote in his diary that this was his favourite dish and our noses were blown away literally when the dish was served! The aroma of the shrimp paste was really strong and lingered in the air which certainly titillated our senses even before we warm up to our cutlery! The accompanying condiments were simply presented around the plate with some scrambled egg, sliced green mango, pieces of cucumber, tomato and a saucer worth of the secret sauce which won this dish a 'Popular' mark on the menu. I almost choked upon the first spoonful which was repugnant to say the least. 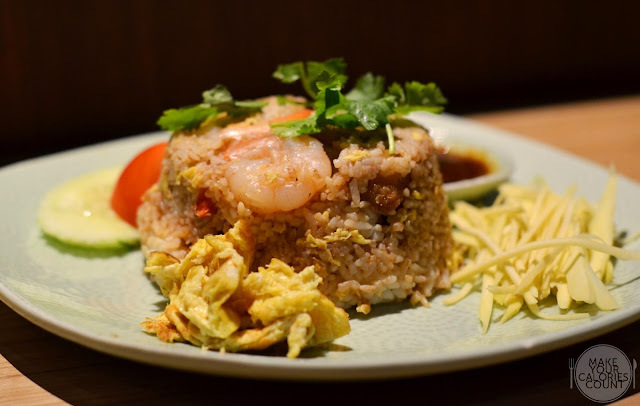 Expecting a pleasantly savoury dish to the extent of savouriness, the fried rice was too salty and the bold flavours of the shrimp taste was overwhelming. Nestled within the bed of carbohydrates were some seafood - prawns, fish coated with batter and squid. It was rather disappointing that each of these ingredients failed to pass the freshness quality test. The batter coating the pieces of fish cubes were soaked with the shrimp paste and it was too salty for our palate and regrettably we had to leave the dish unfinished. The accompanying sauce tasted very much like your classic Chicken Rice chilli! It seemed like a blend of soy sauce, red chili, vinegar and lime juice which we struggled to find a fit within the dish. The green mango salad was also bland and dry and the dish just did not go very well as a whole. This was my personal favourite and I noticed that this dish now has a 'Recommended for kids' mark on the menu! The serving was more than generous in portion size and one which many Thai kids grew up eating. Look elsewhere if you are after some elaborate spicy dish for this bowl of goodness fits the bill perfectly for what I would regard as 'THE' comfort food. Admittedly, I have a peculiar ordering habit where I would order the same dish from a particular restaurant for every single visit and this is one of the few dishes for me. Thankfully I always have my trusted dining companions on food tasting sessions with me, who are more adventurous to try seemingly more exotic dishes! 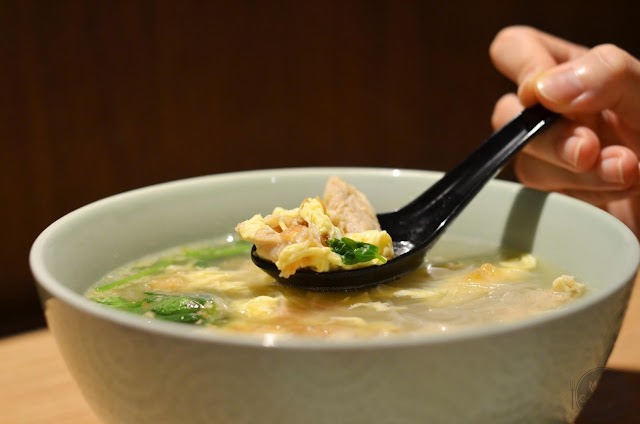 What I particularly enjoyed about this dish is that hearty bowl of clear chicken broth that was so light and I highly recommend it to gym enthusiasts as a post-workout protein meal. 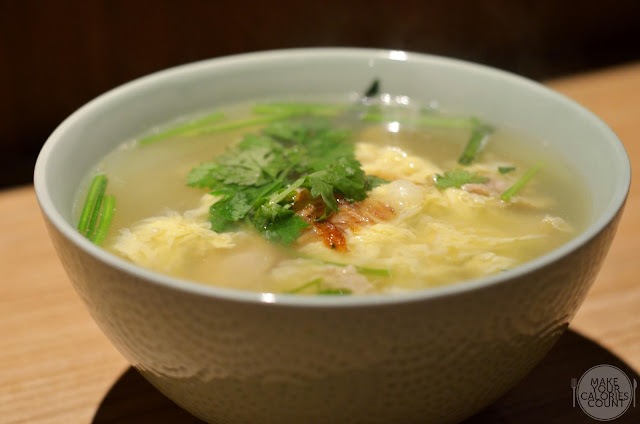 The chicken portions in that bowl seemed like a bottomless pit because every time I scour, I find another big chunk of protein in that 'egg drop soup'. The beautiful flavours of the fresh coriander complemented the dish well and coupled with the al dente glass noodles, it was a delightful dish. What I used to like about the dish was that even if I were to slurp up that entire bowl of broth, I would not be hungry for some water to quench the thirst resulted from MSG. Sadly this time round, I was constantly reaching for my bottle of mineral water post-dinner, oh well. This Thai Express speciality was one of the recommended dishes on the menu and we were particularly attracted by the caption which read 'created by a Thai chef and a Japanese chef for their wedding dinner'. It was no surprise then that the curry in this was only mildly spicy which would suit those with a low tolerance for the heat (similar to the Japanese curries), so it was quite a 'no-no' for me for I preferred my curries strong and bold. Depending on individual but the curry was a little too viscous for our liking for we would have preferred a smoother version. This was owed to the addition of eggs into the curry, so expect a grainy texture. Like the other two main dishes, the amount of greens in the dish was sparingly little. The portion was really value for money though considering the size of the soft shell crab. It was however not deep fried to a nice crispiness where one could crunch through. Instead, the batter was limp and it was hard to distinguish exactly if the seafood was fresh for the flavours from the curry were too strong and pretty much masked it all. We were quite surprised when the appetizer came after all the mains were served. Clearly the servers were too focused on just bringing the dishes to the customers and neglected the simple basics of service! While Thai Express present themselves with a concept of relaxed dining, I believe it was only appropriate for the order of dishes to follow the simple thumb of rule - Appetizers-Mains-Desserts. There was nothing too praise-worthy about this salad. The green mango were slightly crunchy and we enjoyed the crunch from the crushed peanut bits sprinkled across the salad. It gave a good layer of texture but again I struggled to find the right balance in flavours between the chilis, mangoes, onions and that sauce which seemed a little too diluted for our liking. It was while doing this write-up that I realized that Thai Express belonged to Minor Food Group Singapore which within their F&B portfolio holds other well-known eateries such as Xin Wang Hong Kong Cafe, Buffet Town, Kiseki, Poulet, Shokudo Concepts, Pinle, New York New York and Heng Heng Curry Cafe. I am not certain if this was a case whereby the outlet at VivoCity served in my humble opinion, substandard food and service or is it a chain-wide phenomenon. It was a disappointing visit on this occasion although the one dish which I stubbornly refused to strike off my order list stayed resilient to critique. We had difficulties getting the attention of the servers when we tried to get the bill as well and it was with dissatisfaction that we left the restaurant. I would give another try at another outlet but for now, I would look elsewhere when I am at VivoCity next time and looking for a quick meal fix. Opening Hours: 11.30am to 10.30pm; Last order at 10pm. [SG] Sophie Bakery - simple pastry done well! [SG] Poulet @ Bugis+ - amazing roast chicken? [SG] Third & Sixth - A hidden gem! [SG] Ya Kun Kaya Toast - the toast that binds! [SG] Din Tai Fung | Chilli Crab Feisty Feast! [SG] Communal - where bonding takes place! [SG] Sin Ming Roti Prata - Our Prata Hawker Hero? [SG] 328 Katong Laksa - Gordon's Nemesis? [MY] Kin Wah | 锦華 - Makanan Sedap! [SG] Saint Marc Cafe - 'Chococro' to die for?